Neptune's Automated Wheel Wash Systems offer the highest degree of efficiency of water delivery. The system is unique in that the structure itself serves as the water carrying channels so there is no piping throughout the wheel washing platform. By utilizing the square tubing of the structure, the system can handle extremely high volumes of water with minimal velocity drag. The quality and ruggedness of all Neptune Wash Systems sets industry standards. 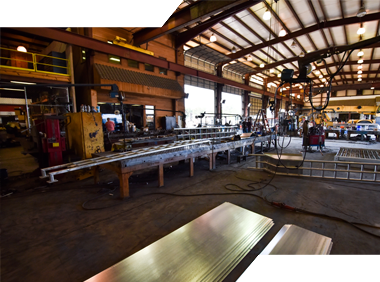 Starting with standard 42-inch wide wash platforms to the angled steel profile grates and custom milled, three piece nozzle assemblies; Neptune systems are designed to withstand the rigors of American construction and landfill traffic. A key feature of our wash systems' design is the ability to reconfigure the installation of each system as needed. 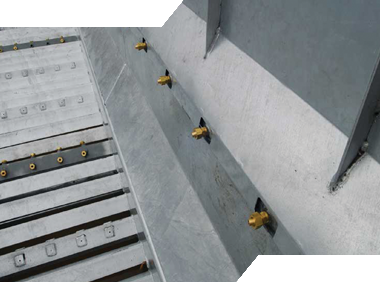 A gravity feed system has the capability of accepting ramps and being used above ground when needed or vice versa. 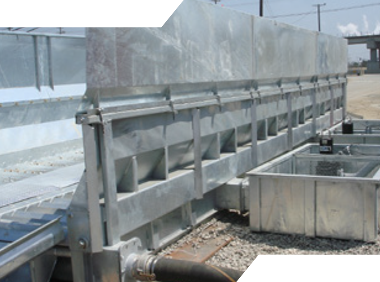 The systems' versatility allows the system to adjust to changing site situations. The three-piece ball nozzle assemblies are also fully adjustable. We take great pride in the fact that all of our Neptune Automated Wheel Wash Systems are manufactured in Hot Springs, Arkansas, USA. The systems are built with standard American components and fittings that are readily available when needed. Ours is the ONLY Automated Wheel Wash that was built by an end user. We truly understand the need to deliver a dependable, easy to use and maintain system. Our in-depth knowledge of the site factors at work and system construction demands allow us to better serve you. 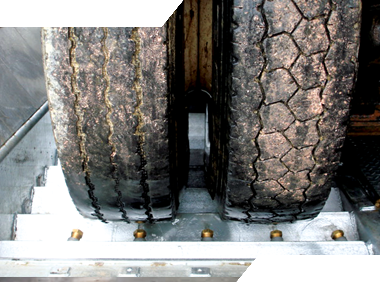 We offer a standard wash platform track width of 42 inches per side - the widest in the industry - and, we believe, the minimum width necessary for effective full-tire cleaning. IES is the ONLY automated wheel wash manufacturer that offers full turn-key construction in addition to offering design and layout services. 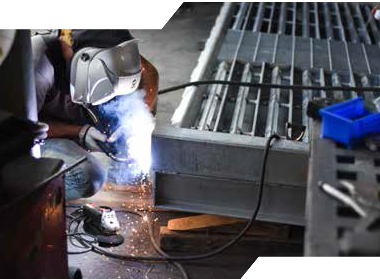 IES employees include a full staff of engineers, draftsman and pump specialists to ensure that each system meets the your site-specific needs. 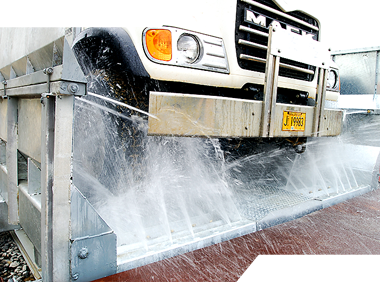 Our truck wash systems are designed on the principle of high volume and moderate pressure, which is the key to an effective automated wheel wash system. Like other systems, we use a submersible wash pump; however, all Neptune systems are constructed with a HOMA waste water pumps which is a key to unrestricted pump efficiency. Unlike a typical de-watering pump, which requires a screen at the intake, the HOMA pump can handle any solid up to 3 ½ inches in spherical circumference, allowing for consistent pump efficiency. 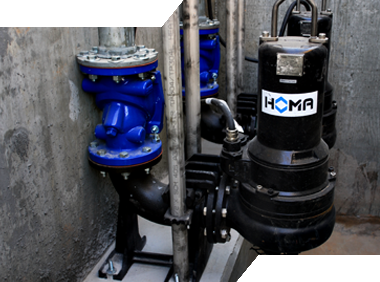 In addition, HOMA pumps offer an Auto Coupler option which allows a customer to remove or install a pump without the need to de-water the water recycling tank. In addition to reducing maintenance time, the Auto Coupling Feature eliminates confined space issues when working in the tank. 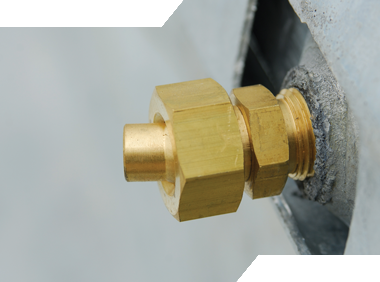 Each Neptune System is configured with a customized header system for streamlined installation. 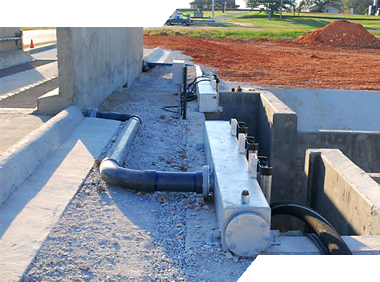 Each header system is designed to maximize water flow and minimize installation cost while delivering even water flow throughout the system. The header’s large channel size maintains maximum pump efficiency and consistent flow rates. All Neptune Electronic Control Panels are made in the USA in a UL rated shop. 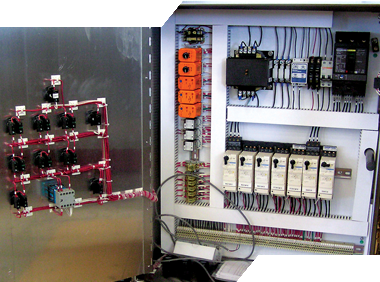 Our standard control panel is configured with relays and switch assemblies to allow for uncomplicated field diagnosis and maintenance. Each panel is custom-configured and constructed to meet the your exact requirements. Our in-house experts can configure PLC to meet specific requirements, include an interface to operate with an existing or proposed SCADA, or customize the panel with specific component parts. All components on IES fleet truck wash systems systems are built with readily available stock components, keeping down time to an absolute minimum. • Pipe and Valve Stem Assembly to allow the customer to deposit the recycled water into a water wagon when de-watering the tank or as needed to be used on site. • Side Spray Shut Off Assembly to allow the customer to use bottom nozzles only when the conditions warrant. • Hand Wash Feature and Fire Hose and Nozzle to allow the customer to use the recycled water to hose down other equipment.